New metal sculpture "Ascension" by artist Jordan Baker-Caldwell to be permanently installed in Midtown Manhattan, Tuesday, August 9th, 2016. His sculptures have been described as figurative, organic forms juxtaposed with modern, neo-cubic abstraction. After two years of production, “Ascension” by Jordan Baker-Caldwell will find its permanent home on the corner of 36th Street and 9th Avenue next month. The 9-foot tall piece will be installed Tuesday, August 9th. Ascension is a large tubular form made of weathering steel that appears to be standing on its edge. The seemingly precarious way the piece rests challenges the viewer's sense of spatial awareness, creating a quiet moment of contemplation amidst the hustle and bustle of the city. 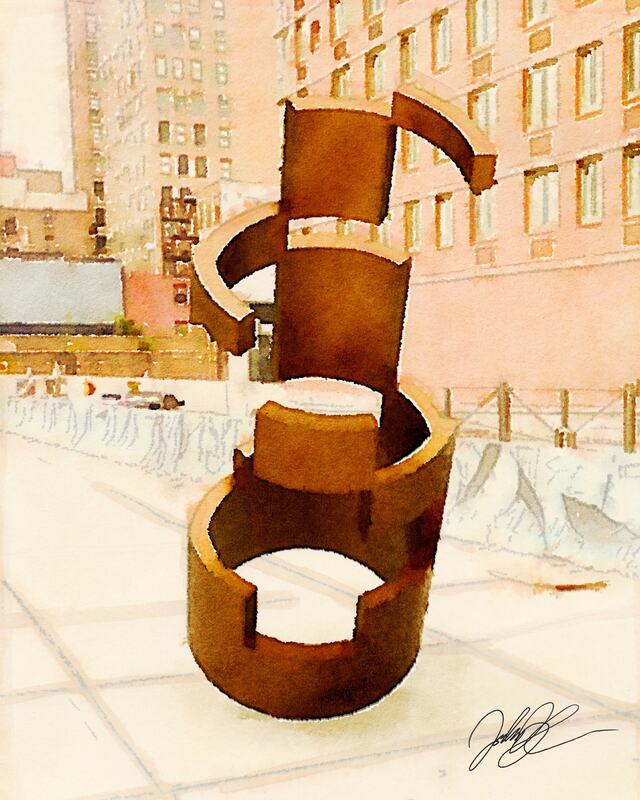 The permanent installation of Ascension, in partnership with the Hell's Kitchen/Hudson Yards Alliance, marks the realization of a life long dream for the artist. 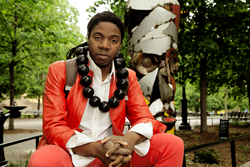 Jordan Baker-Caldwell was born in New York City and raised with the kinetic streets of Harlem as his backdrop. As an artist and metal sculptor, his works evoke questions about gravity, structure, balance, and the human body in relation to space. His sculptures have been described as figurative, organic forms juxtaposed with modern, neo-cubic abstraction. Jordan is interested in the way people interact with his work, and how that interaction has the power to reshape perception. Jordan’s work has been featured at the National Metal Museum, the Museum of Arts and Design (MAD), and currently his 15-foot sculpture “Golem” is on view in Marcus Garvey Park at 121st Street and Madison Avenue, through September 30th.